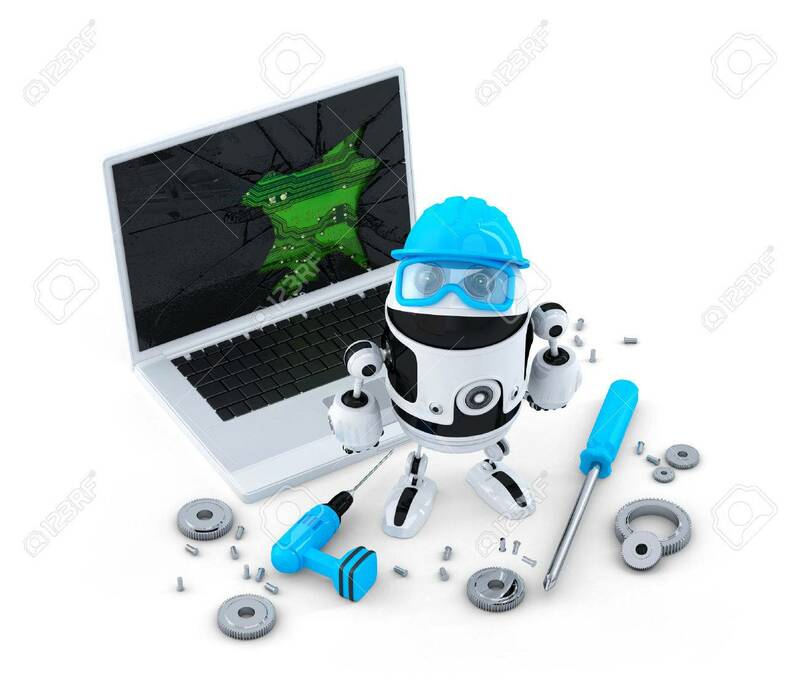 Technician Fixing Laptop. Technology Concept. Isolated On White Stock Photo, Picture And Royalty Free Image. Image 23579329.